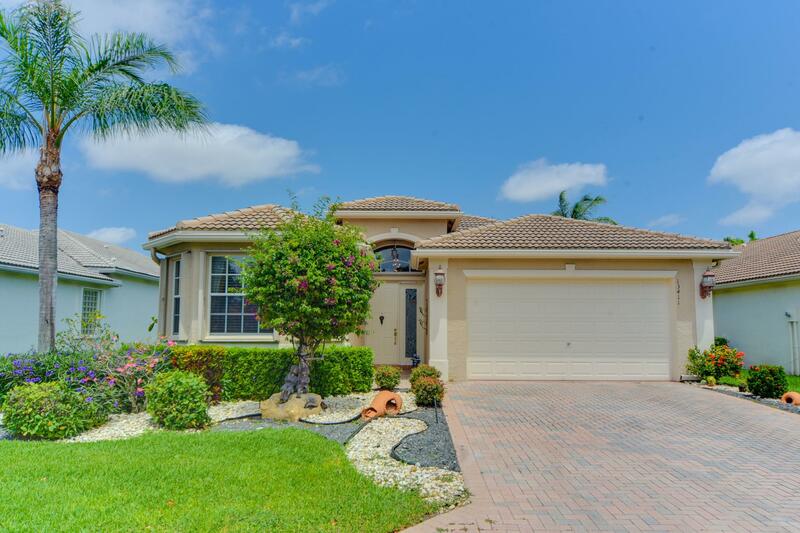 All VALENCIA FALLS 7 homes currently listed for sale in Delray Beach as of 04/21/2019 are shown below. You can change the search criteria at any time by pressing the 'Change Search' button below. "ENTER THIS LOVELY 3 BR, 2.5 BATH LAKE FRONT HOME WITH IMMEDIATE LAKE VIEWS. SPACIOUS FOYER OPENS TO 2 GUEST BEDROOMS, ONE USED AS OFFICE WITH GORGEOUS BUILT INS. LARGE LAUNDRY ROOM WITH BUILT IN CABINETS. FAMILY ROOM OPENS TO EXTENDED SCREENED LANAI WITH LONG LAKE SIDE VIEWS. KITCHEN WITH GRANITE COUNTERS AND LARGE WALK IN PANTRY. ENJOY BREAKFAST WHILE OVERLOOKING THE LAKE. ACCORDION HURRICANE SHUTTERS. HWH IS 2 YEARS OLD. AC REPLACED 2011 . VALENCIA FALLS IS AN ACTIVE ADULT COMMUNITY WITH TENNIS, PICKLE BALL, BOCCE, CARD ROOMS, POOL, BILLIARDS, TOT LOT AND CLUBHOUSE WITH BALL ROOM. CAFE OFFERS BREAKFAST AND LUCH POOLSIDE. ONE TIME CAPITAL CONTRIBUTION OF $1725 PAID BY BUYER AT CLOSING. ALL MEASUREMENTS AND INFORMATION DEEMED ACCURATE AND SHOULD BE INDEPENDENTLY VERIFIED."